Map of the Firth of Clyde. The Firth's climate enjoys the benefit of the Gulf Stream, part of the North Atlantic Drift, originating in the Gulf of Mexico. At its entrance the firth is some 26 miles (42 km) wide. Its upper reaches include an area where it is joined by Loch Long and the Gare Loch. This includes the large anchorage off Greenock known as the Tail of the Bank in reference to the sandbar which separates the firth from the estuary of the River Clyde. The Clyde is still almost 2 miles (3.2 km) wide at the sandbar, and its upper tidal limit is at the tidal weir adjacent to Glasgow Green. The cultural and geographical distinction between the firth and the River Clyde is vague, and people will sometimes refer to Dumbarton as being on the Firth of Clyde, while the population of Port Glasgow and Greenock frequently refer to the firth to their north as "the river". In Scottish Gaelic the landward end is called Linne Chluaidh (pronounced [ˈʎiɲə ˈxlˠ̪uəj]; meaning the same as the English), while the area around the south of Arran, Kintyre and Ayrshire/Galloway is An Linne Ghlas [ə ˈʎiɲə ˈɣlˠ̪as̪]. The Firth encompasses many islands and peninsulas and has twelve ferry routes connecting them to the mainland and each other. Sometimes called the Clyde Waters, this water body is customarily considered an element of the Irish Sea. The ferry services are run by Caledonian MacBrayne and by Western Ferries and many of the routes are lifeline services for communities living in remote areas. A great number of sea lochs adjoin the Firth, the largest being Loch Fyne. The Cowal peninsula extends into the Firth of Clyde and forms the main upper firth west shoreline. The main town on the Cowal peninsula is Dunoon. These routes across the Firth of Clyde save time, rather than traveling "round by road", via Loch Eck side (A815 road), the Rest and be thankful (A83 road) and Loch Lomond side (A82 road). The service between Dunoon and Gourock in Inverclyde, operated by the Caledonian MacBrayne subsidiary Argyll Ferries is a foot passenger only service. This service connects directly with the Abellio ScotRail service to Glasgow. Western Ferries operate the service between Hunters Quay and McInroy's Point near Gourock and carry all types of vehicular transport and foot passengers. The Holy Loch at Sandbank, Argyll on the Cowal Peninsula. The Clyde formed an important sea route from the earliest times. The Battle of Largs in 1263 marked the turning point for the end of Norse ambitions in Britain. Progressively from the 16th century onwards the Clyde became the conduit for commerce and industry, including herring, timber, wine, sugar, tobacco, textiles, iron and steel, coal, oil, chemicals, distilling and brewing, ships, locomotives, vehicles and other manufactured products. During World War II Glasgow and the Clyde became Britain's main entry point for Allied merchant shipping, military personnel and equipment, and for the assembly, despatch and control of ocean convoys. The Clyde formed the largest base of naval ships. Among many wartime innovations to support air, maritime and territorial combat the world's first deep water test of a submarine oil pipeline was conducted in 1942 on a pipeline laid across the Firth of Clyde in Operation Pluto. In the middle of the 19th century the sport of yachting became popular on the Clyde. The area became famous worldwide for its significant contribution to yachting and yachtbuilding with notable designers including: William Fife III; Alfred Mylne; G L Watson; David Boyd. It was also the location of many famous yacht yards. Clyde-built wooden yachts are still known for quality and style today. With the advent of tourism in Victorian times, the area became popular with Glaswegians and residents of neighbouring towns and counties who travelled "doon the watter" on Clyde steamers to holiday in the picturesque seaside towns and villages that line the firth, with the more wealthy building substantial holiday homes along its coasts. Many towns such as Gourock, Largs, Ayr, Dunoon, Rothesay flourished during this period and became fully fledged resorts with well-appointed hotels and attractions. Golf courses increased in large number, including major championship courses. The steam-powered PS Waverley still makes cruising trips to these coastal towns, in addition to regular services. Tourism, sport and recreation, and heritage history attract visitors from across the world. The Firth is ringed by many castles and buildings of historical importance which are open to the public, including Inveraray Castle, Brodick Castle, the opulent Mount Stuart House on the Isle of Bute, and Culzean Castle, which is the most visited attraction owned by National Trust for Scotland. Ocean liners are frequent callers at Greenock, and Glasgow International Airport and Glasgow Prestwick Airport are nearby. Rail services to and from the coast, including links to Oban and Fort William, are frequent, with city terminals in Glasgow and Edinburgh. Daily ferry services connect with Belfast. The inner firth seen from the Cowal peninsula near Dunoon, looking north east to the coast of Inverclyde at Cloch point south of Gourock and Greenock, and beyond that the Tail of the Bank. PS Waverley can be seen cruising south "doon the watter"
The "lower Clyde" shipyards of Greenock and Port Glasgow, most notably Scott Lithgow, played an important role in shipbuilding, with the PS Comet being the first successful steamboat in Europe, and a large proportion of the world's shipping being built there until well into the 20th century. In more recent times the natural environment of the firth has been compromised in places by a succession of industrial and military developments along the shoreline, including Hunterston and Hunterston deepwater terminal, while at the same time shipbuilding has declined. In the upper Clyde two major shipyards continue at Glasgow Govan and Scotstoun, run by BAE, whose major client is the Royal Navy. Today only one lower Clyde shipyard exists, Ferguson Shipbuilders, next to Newark Castle, Port Glasgow, The Garvel dry dock in Greenock continues in operation for ship repair, and the large Inchgreen dry dock in Greenock is in occasional use. The sites of former shipyards are being regenerated by housing, leisure facilities and commercial premises. Common and grey seals abound in the firth. Harbour porpoises are also common and while dolphins are much less so, they have been spotted in the upper reaches of the firth in the summer of 2005. Whales do not favour the Clyde and although there have been instances of larger whales beaching themselves or becoming stranded in the upper firth, only smaller pilot or minke whales seem to visit with any kind of regularity. In 2005 the firth was listed as having the 2nd highest incidence of basking shark sightings in Scotland (after The Minch). In particular these huge sharks seem to favour the warm, shallow waters surrounding Pladda. Although at one time heavily fished from the Firth's many fishing towns, the only catches remaining in Clyde waters today of commercial interest are prawns, lobster and herring. Mussels and crayfish remain important. In September 2008, Scotland's first No Take Zone (NTZ) was introduced in Lamlash Bay, Isle of Arran. This was instigated by a community effort driven by the Community of Arran Seabed Trust (C.O.A.S.T). The NTZ was specifically introduced to protect delicate communities such as maerl. Maerl is a very slow-growing (1 mm per year) coral-like calcareous red algae and is an important Scottish species. Maerl beds are reservoirs of biodiversity, important both as nursery grounds for young scallops and young fish. Studies show that organic waste from fish farms significantly reduces live maerl and that scallop dredging has profound and long lasting impacts. Scallop dredging on a maerl bed has been found to kill over 70% of live maerl, with no discernible recovery over the following four years. Recovery of maerl beds would be expected to require many years without disturbance. At Gourock a ship heads for the container cranes at Greenock, passing the Caledonian MacBrayne Dunoon ferry. Across the firth MV Kenilworth leaves Kilcreggan for Helensburgh. Container cranes at Greenock's Ocean Terminal, with the berth occupied by the cruise liner Golden Princess. The Firth of Clyde like the River Clyde has historically been an important centre of shipbuilding and shipping. In addition to the shipbuilding and engineering centres up river of Glasgow, Govan, Clydebank, Dumbarton and Renfrew the lower river developed major yards at Greenock, Port Glasgow and smaller ones at Irvine, Ardrossan, Troon and Campbeltown and boatyards including Hunters Quay, Port Bannatyne and Fairlie. Ferguson Shipbuilders yard, adjacent to Newark Castle, Port Glasgow, remains. Greenock is the site of one of the world's largest dry dock and ship-repair facilities at Inchgreen. The dry dock there is 305 m long and 44 m wide and is operated by Northwestern Shiprepairers Limited using the name Scott Lithgow, although unrelated to the famous Port Glasgow Scott Lithgow shipbuilding company. The Firth of Clyde has one of the deepest sea entrance channels in northern Europe, which can accommodate the largest Capesize vessels afloat, and as such the Clyde is one of the UK's leading ports, handling some 7.5 million tonnes of cargo each year. Hunterston Terminal was constructed to bring in bulk ore, but now mainly deals with coal imports. Supertankers up to 324,000 tonnes travel up the firth to deliver crude oil to Finnart Oil Terminal in Loch Long, which is connected by pipeline to the Grangemouth Refinery on the Firth of Forth. A second pipeline brings back refined oil products for export in smaller oil tankers, mainly to Northern Ireland. Greenock's Ocean Terminal facility handles cargo from smaller container ships. More recently, regular cruise liner traffic has built up, making the port very busy in season. Clydeport, North Ayrshire Council and Scottish Enterprise propose a £200m international deep-water container terminal, also at Hunterston, which would effectively act as a worldwide gateway port, and possibly become the major container port for the northern half of Europe. Initial environmental and economic impact studies are currently being undertaken. The Royal Navy has a significant presence on the Clyde, at HMNB Clyde on the Gare Loch and on Loch Long, connected to the nuclear stores in Coulport and Glen Douglas. The dockyard engineering and operations are managed by Babcock International, while one of the three main ports providing marine services support vessels is at Greenock, previously operated directly by the Royal Maritime Auxiliary Service. Cloch Point on the Inverclyde coast. Toward Point on the Southern tip of the Cowal Peninsula. The Gantocks Rocks and Navigation Beacon, off the coast at Dunoon, Cowal Peninsula. ^ "Home". visitcowal. 2014-06-20. Retrieved 2017-02-07. ^ "Welcome to Argyll Ferries". Argyllferries.co.uk. Retrieved 2017-02-07. ^ "Train to and from Gourock". www.scotrail.co.uk. Retrieved 1 April 2018. ^ "Western Ferries (Clyde) Ltd". www.western-ferries.co.uk. Retrieved 1 April 2018. ^ Jon Kelly (8 December 2011). "How Scandinavian is Scotland?". BBC News Magazine. Retrieved March 1, 2019. ^ Fullarton, Donald (29 July 2011). "Americans built oil terminal". Helensburgh Heritage. Retrieved 23 May 2013. ^ "Inverkip, The Cloch Lighthouse". Canmore. Retrieved 2017-02-07. ^ "Toward Point, Toward Point Lighthouse". Canmore. Retrieved 2017-02-07. ^ "Little Cumbrae Island, New Lighthouse". Canmore. 1951-08-23. Retrieved 2017-02-07. ^ "Pladda, Lighthouse". Canmore. 2010-07-12. Retrieved 2017-02-07. ^ "The Gantocks, Navigation Beacon". Canmore. Retrieved 2017-02-07. 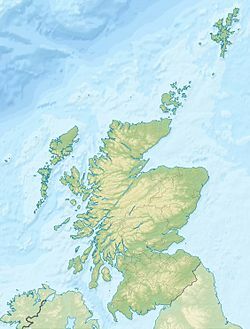 Wikimedia Commons has media related to Firth of Clyde.